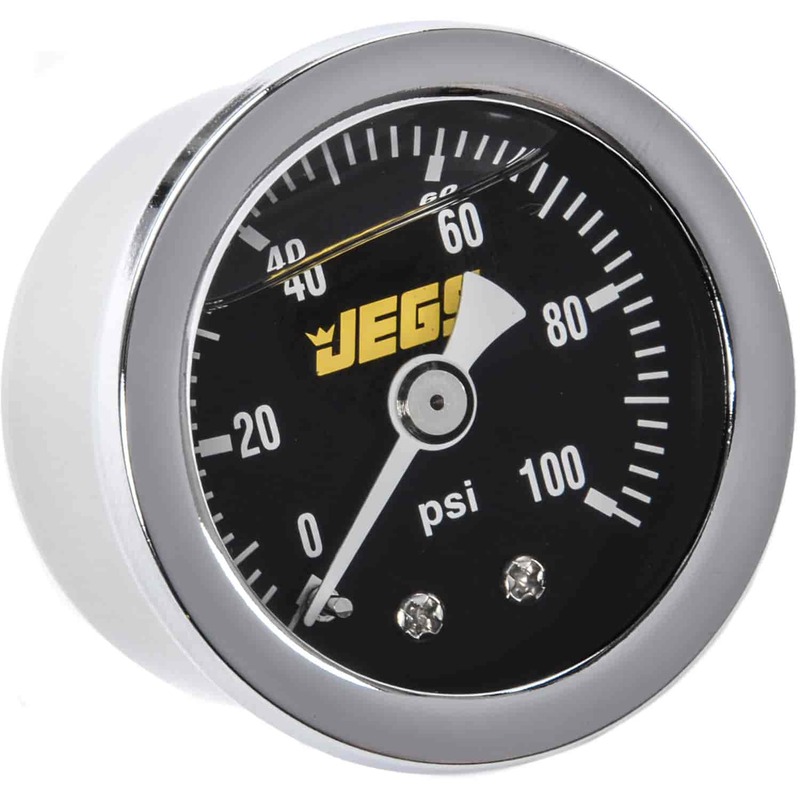 JEGS 1-1/2" Fuel Pressure Gauges are liquid-filled (needles don't bounce as engine idles) and shockproof. Their brass internals and glass lenses provide durability. Each gauge has a 1/8" NPT male fitting for connection to the fuel system. Available psi: 15, 30, 60, or 100. 41013 is rated 5.0 out of 5 by 4. Rated 5 out of 5 by Little Boo from Fuel Guage I have not installed this gauge yet, but have used one just like it on a different vehicle with the same size engine and it worked great and still working. This is why I ordered a second one for my other vehicle. Rated 5 out of 5 by Old school Andy from Nice gauge Very satisfied with the product, price, and the service. Rated 5 out of 5 by Car guy 1 from Nicely built I bought the product a month ago and it;s a very good product. This gauge has a 1/8&quot; NPT male fitting on the back. You will need to check your fuel system for the size of the pressure tap port. JEGS 75055 - Thread Sealing Tape 1/2 in. x 43 ft.